For January, I’m choosing to focus on some works I’ve seen a lot of lately, which is that of Alexander McQueen. However, much to my shock, in gathering profile material for this post, I found out he’s been deceased for almost 3 years (Feb 11 2010). Hey, I never said I was a fashionista up to date on all the news! I just look at some of the fashion where I find it and learn from it. Anyway, I’ve been seeing a lot of Alexander McQueen’s work done by Sarah Burton, who had taken the reins of the Alexander McQueen line. That does not mean this post has been wrongly attributed, though. A lot of what I saw of Alexander McQueen’s work which appealed to me go back before his death. There’s just also been a lot of it after his death as well. As my fashion knowledge grows from my time on Pinterest, I am seeing more fashion from more designers. I am definitely developing favouritism towards a bunch of them so I thought I’d share some in case people haven’t heard of them. I’m no fashionista so it’s not like these designers are “unknown”, but some are maybe not household names yet. This month, I discovered the work of Georges Hobeika. 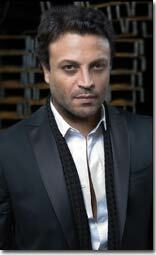 He is from Beirut, from where Zuhair Murad originates. That’s interesting to me because the first designer spotlight I had blogged about belonged Zuhair Murad’s. What were the odds that the first two designers I liked enough to blog about were both from Beirut? Is there something about my tastes that is common to their style? If you’re a true fashionista or fashion snob, try not to retort with What kind of a dumb question is that? You have to realize you’re among a definite minority in the population. Recently, I started learning about dresses, their designs and designers and such, mostly starting through Pinterest (some I’ve like so far). Not knowing anything, really, about the matter, trends in what I liked started to pop out. They tended to be either time period of the dresses, by which many Pinteresters organized their fashions, or designers that many Pinteresters noted in their comments on each pin. I’ll write about period fashion some other time, but for now, I want to focus on a designer whose name I kept seeing come up repeatedly in my viewing of dresses, and that is Zuhair Murad.